The time comes when you decide you need a cabin restoration to upgrade a tired, worn-out log home to its original beauty. You may have neglected the regular maintenance over time or maybe you've gotten a great deal on a used log home that needs work. This page covers some tips to guide you with your cabin restoration and log home repairs. If the damage to your logs is extensive, you may be facing a bigger log repair job, involving log restoration or replacement. Check out Restoring a Heritage Log Cabin for Victoria Gazeley's account of her family's restoration of an old cabin in British Columbia. The first step in log home restoration is to inspect your log cabin. Take a long, slow walk around the cabin and look closely at the wood. For an in-depth inspection checklist, see our page on cabin inspections. Large Cracks or Checks – Checking is normal as wood ages and dries. But large cracks can accumulate dirt and allow rain to settle in the logs. 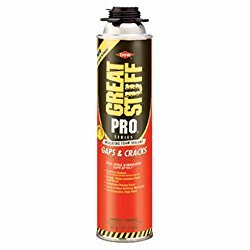 Checks should be caulked with a good-quality, flexible caulk. Caulks are available in colors to match most log stains and allow movement as your logs expand and contract. If the checks are large (over about 1/4”) they should be filled with backer rod before applying the caulk. Backer rod is just soft round foam strips that you can buy in different diameters. The backer rod fills the hole and provides flexibility so that the caulk doesn’t lose its adhesion. Discoloration – Mold and mildew can grow where the log finish has failed and these need to be cleaned off with a soft scrub brush and a bleach/water/TSP mixture. Hose this off well and let the logs dry before proceeding with further log repairs. Stains or Dark Spots – Water dripping or splashing back onto the logs will prematurely wear the finish and soon soak into the wood. Left untreated this will lead to mold and eventually rotten wood and a complete cabin restoration. You must be sure to address the cause of the water by changing your log home landscaping so rain doesn’t splash back onto the logs, by adding gutters, or by re-directing water run-off away from the logs. Termites – Termites can cause damage over time if the logs are close to the ground or a termite shield was never installed under the sill plate. Check for small holes in logs with droppings nearby, mud tunnels or tubes, soft spots in the wood, or even visible termites. Treat with a termiticide like Termidor or call an exterminator. Damage – Obvious rot or damage may need to be replaced. Sometimes you can perform log repairs by cutting out the bad area and replacing it with a “dutchman”, using chisels or a router to remove the patch. 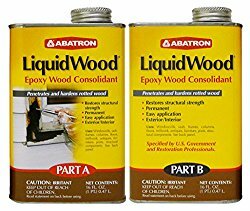 Other times you may be able to strengthen a soft area if it’s not too extensive by saturating it with Liquid Wood epoxy or building it up with WoodEpox. Log home repairs or a cabin restoration that involves replacing an entire log is not an easy task and is best left to the pros. This may involve cutting the log away while supporting the remainder of the area and safely transferring loads. 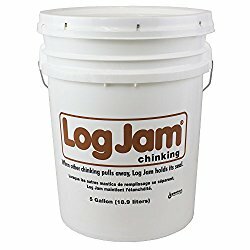 The next step is to clean your logs. Many people recommend using a pressure washer to clean the logs and strip away dirt, cobwebs and bugs so you can see your logs clearly, assess any log repairs and re-stain as necessary with a penetrating stain. 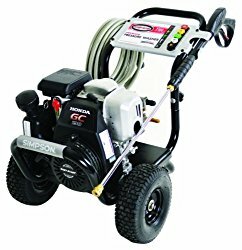 While a pressure washer is quick and easy, you should be very careful about getting the nozzle too close or using too much pressure. You can permanently damage the wood, force water into the interior of the cabin and trigger further cabin repairs. 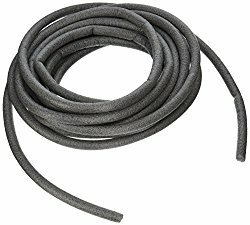 Ensure that you use a pressure setting not greater than 500 psi and use a pressure washer tip of 15° - 20°. If you can’t dial things down this low you must step back and keep the nozzle further away. Otherwise you risk cutting away the softer areas of the wood and leaving a rough, jagged surface that’s unattractive and difficult to re-finish and keep clean. Alternatively, you can clean the logs with light scrubbing and a gentle rinse from the hose. This works especially well for a light cabin restoration. If necessary, add an oxygenated bleach like Defy Wood Cleaner. 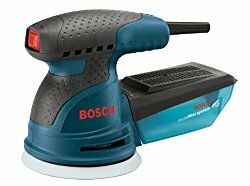 This removes the gray from weathered wood and removes mill scale. For serious stripping and cabin restoration, the best approach is to blast the wood clean. Many things have been tried (like CO2 blasting and chemical strippers) but cob-blasting is the most widely-used. Ground-up corn cobs provide cheap media, they are non-toxic and environmentally-friendly and they won’t damage the wood. Many times you can rent a machine locally and do it yourself but be aware that this is a big job probably best left to the experts. Simply gaining access to all areas of your log cabin will require long ladders, scaffolding and many hours working high in the air. Cob-blasting is a messy business and even if you use tarps and ground cloths you won’t be able to capture all the material. CO2 blasting actually uses dry ice pellets at a temperature of -110° F. As the dry ice hits the surface it causes thermal shock, making the finish brittle and stripping it away. The best thing is that the CO2 simply evaporates and leaves no messy residue. This method is particularly useful when stripping finish inside a log cabin. Oxalic acid is commonly used as a wood “brightener”, restoring the original color and brightness of new wood to old wood. It’s used after chemical strippers but you must use caution as these chemicals can be very dangerous. Even with careful cob-blasting, the wood grain is raised, leaving a rough surface. This must be smoothed before applying a finish and the only way is by sanding. Random orbit sanders don’t leave marks in the wood since these sanders are constantly vibrating and rotating. Use 60-80 grit sandpaper to knock down the high, rough areas and leave the wood smooth and ready for re-staining. Corners and Notches – Log homes often have corner logs that stick past the wall. If these are not underneath a long cabin roof overhang they are vulnerable to rain and sun damage. Be sure these get well sealed when re-staining. Joints – The crack where the logs rest together can open up slightly as the wood dries and contracts. Normally this is not a problem but you may have had a particularly wet log or one that is prone to twisting as it settles and this can open up gaps. Fill these gaps with a flexible log home caulking sealant and check for soft wood with an ice pick or screwdriver. Soft or “punky” wood can indicate rot and should be filled with penetrating Liquid Wood epoxy, which soaks into the soft area and encapsulates the wood fibers with epoxy. Exposed Rafters and Purlins – Exposed purlins and rafters may hold water and encourage mildew and insects. Either cut them back, protect them with long overhangs, or seal them well and implant borate rods for protection. Chinking – Some log home styles incorporate chinking to seal the gap between logs. Older log homes may have used an inflexible type of chinking that will need to be removed and replaced once it begins to pull away from the logs. Newer chinking is elastomeric and remains flexible over time, providing good adhesion to the logs. This chinking process is not the arduous task it used to be. The new chinking can be applied with a tube from a caulking gun, or by hand from 5-gallon buckets. Doors and Windows – The penetrations through the log shell are always more vulnerable to water infiltration and possible log damage. Look carefully at both the outside and the inside log wall areas near the door and window bucks. If you see water stains or darkened areas of the wood this indicates that water has gotten through the envelope. Not only will the water do damage to the wood, but this also tells you that air is getting inside and you are losing your log home’s energy efficiency. Seal the gaps or cracks (you may have to remove trim around the windows and doors) with caulk or expanding foam. I recommend foam for any crack wider than 1/4” as caulk can break down over time and doesn’t span gaps well. Be sure to use foam designed for windows and doors that doesn’t over-expand and stays soft. Otherwise you risk distorting the window and door frames as the foam expands. The best idea for sealing cracks is to use a foam gun. 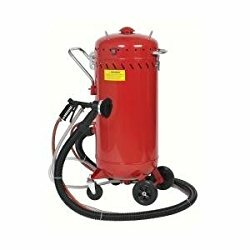 These guns screw onto the cans of foam and give you pinpoint control over placement of the foam, unlike the disposable cans that squirt all over and don’t seem to stop when you want them to stop. The foam guns have a valve to turn off the foam when you’re done and you can leave the can attached and re-use it later during your cabin restoration. Once you get involved with serious cabin restoration you realize the importance of proper log cabin design at the beginning and with ensuring that regular maintenance is performed over time. Read more about the causes of log home deterioration in our introduction to cabin repair and see definitions and explanations of terms used in cabin rehab in our cabin restoration glossary. A log home is a legacy to be handed down to another generation and represents a significant investment of money and commitment. The satisfaction of a cabin restoration goes far beyond the monetary gain realized.